In Philomena, a mother (Judi Dench), with the help of a British journalist, searches for her son who was adopted in the early '50s from an Irish convent where she had the baby following an unplanned teenage pregnancy. The film is nominated for four Academy Awards, including Best Picture and Actress (Dench). Since Philomena's story begins in Ireland and eventually makes its way to America (spoiler: because that's where her son went after he was adopted), I wanted a drink that represented both countries. I immediately thought of the Irish coffee, made with Irish whiskey and coffee. However, rather than serve this warm, I decided to make it a cold dessert cocktail, which in a way resembles a mudslide. Instead of Irish whiskey, I used American bourbon, but the Irish still comes into play with Bailey's Irish cream. Instead of coffee, I used coffee liqueur (Kahlua). Vanilla, chocolate bitter and cinnamon round out the drink's flavors. 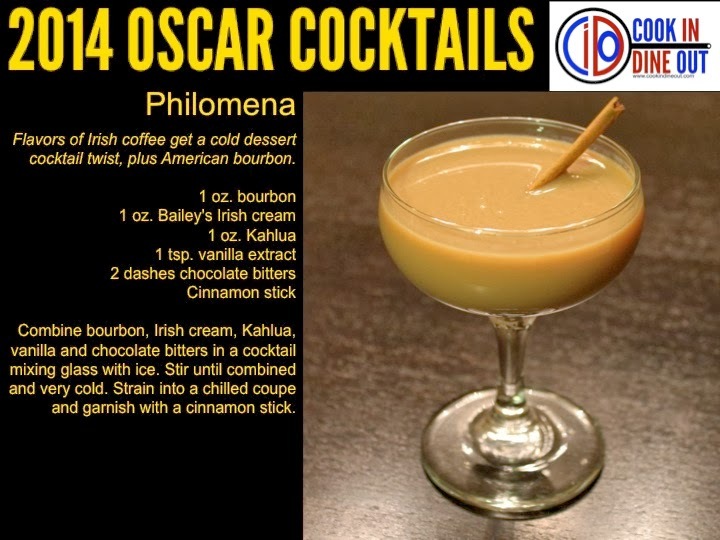 Combine bourbon, Irish cream, Kahlua, vanilla and chocolate bitters in a cocktail mixing glass with ice. Stir until combined and very cold. 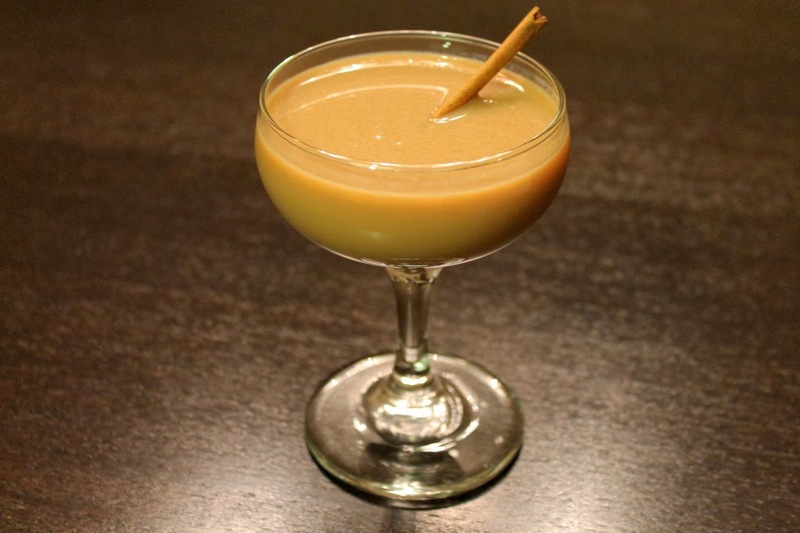 Strain into a chilled coupe and garnish with a cinnamon stick.